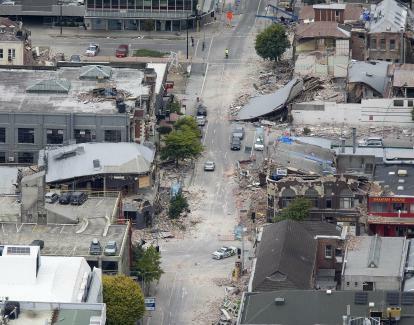 A strong earthquake of magnitude 6.3 hit the city of Christchurch, New Zealand on February. The quake's epicenter was Lyttelton with a depth of 5 kilometers, though it was felt as far away as Wellington and Dunedin. 166 people were killed. the economic loss is estimated to be £4.5billion-£6.7billion.